John King spoke at a press conference where President Obama announced that Arne Duncan is stepping down as Secretary of Education. 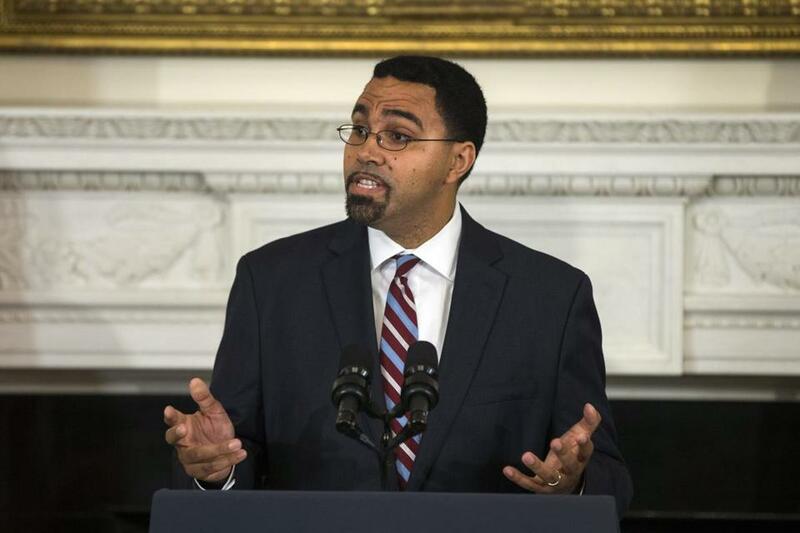 The man set to lead the federal Department of Education during President Obama’s final year in office has close Boston ties and a loyal local coterie of former colleagues and students. John B. 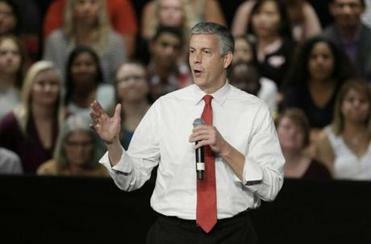 King Jr., the senior Education official tapped to assume the duties of departing Secretary Arne Duncan, is a Harvard graduate who in 1999 co-founded Roxbury Preparatory Charter School in Mission Hill, where he was co-director for five years. Titciana Barros, the school’s dean of students, was a Roxbury Prep student in the early 2000s, finding a role model and mentor in King. Former US senator William “Mo” Cowan, who served as a Roxbury Prep trustee during King’s years as a co-director, said King intellect and passion for education are unquestioned. Sidestepping a confirmation fight, Obama tapped a senior bureaucrat to run the department while leaving the role of secretary vacant. “You put those two things together ... that’s exactly who you want working with the president, advising the president on education policy, and putting that policy in place,” Cowan said. King is likely to have only about a year leading the department between Duncan’s departure, set for December, and the end of the Obama presidency in January 2017. But Cowan — who served 5 1/2 months in the Senate following John F. Kerry’s resignation to become secretary of state — said the limited time would not determine how much King can accomplish. After leaving Roxbury Prep, King served as a managing director of Uncommon Schools, a non-profit charter school organization, and later as New York’s state commissioner of education. J. Keith Motley, chancellor of the UMass Boston, co-founded Roxbury Prep with King and Evan Rudall. Motley said he tapped King and Rudall as the school’s first co-directors because they were young and had innovative ideas.